Michele and I rented an apartment in Rome again in February. We have decided that for us it is better than a winter vacation to Florida, Mexico or the Caribbean. While it may not be as warm, the food is much better and Rome is Rome and we love it. These are the restaurants that Michele and I go back to every time we are in Rome. Trattoria da Giggetto– Michele and I always go to the same place for lunch when we arrive in Rome. We drop off our bags and walk to Da Giggetto (39-066861 05) at Portico D’Ottavia 21/A-22 in the Jewish ghetto. I do not need to look at the menu because I always order the same things: fiori di zucca ripieni con mozzarella e alici. The flowers were small and crunchy and very good. I also get carciofi alla giudia (fried artichoke) and spaghetti con vongole veraci. The tiny clams were tender and seasoned with just the right amount of parsley, garlic, olive oil and a hint of hot pepper. Michele had carciofi alla romana, braised artichoke and fettuccine with ragu. We drank the Passerina del Fruisnate IGT 2014 from Feudi Del Sole. It went very well with the food even with the fried artichoke. Trattoria Armando al Pantheon-Salita de’ Crescenzi 21 This is one of Michele’s favorite restaurants in Rome and one of the restaurants that you have to make a reservation for lunch or dinner. We only started going here a few years ago and have been going there ever since. I started with grilled bread Roman style with butter and anchovies, while Michele had Buffalo mozzarella with braised Roan artichoke. Then we had spaghetti alla Matriciana, chicken in white wine with peppers, and grilled sausages with lentils. I had the roasted baccala with potatoes in a tomato and onion sauce, which was delicious. Michele had Vignarola, peas, artichokes and fava beans. Michele likes to come here when the weather is warm so we can sit outside because the restaurant is in the Piazza Farnese and she loves the view. We had fiori di zucca, fried artichoke, spaghetti with fresh anchovies and pecorino. We drank Offida Pecorino 2014 “Merlettale” from Ciú Ciú. Checchino Dal 1887 (www.checchino1887.com), Via Monte 30 Testaccio. The Mariani family has owned the restaurant since 1887. Francesco Mariani takes care of the front of the house while his brother Elio is in the kitchen. We went with friends that live in Rome and they were surprised when the Francesco came over and the first thing he said was, “I have one bottle of Fiorano Rosso left, the 1983, do you want it?” That was a trick question. Of course I wanted it! Considering the wine and the food, it is the best restaurant in Rome with over six hundred wines from Italy and all over the world. The wine cellar is dug into Monte Testaccio, a hill made from broken amphorae, which date back to Ancient Rome. Francesco gave us a tour of the cellar that holds over 600 wines. The slaughterhouses of Rome used to be located here and the restaurant still specializes in the so-called quinto quarto, the fifth quarter, or innards and other spare parts. Fegato di Vitello ai ferri, and grilled baby lamb chops. We also drank a Cesanese 2013 “Amarasco” Principe Pallavicini. Mention the Nebbiolo grape and the wines that are most likely to come to mind are Barolo and Barbaresco. These are great wines but there are others from northern Piedmont that deserve some attention, such as Ghemme, Bramaterra, Spanna, Carema, Boca, and Gattinara. 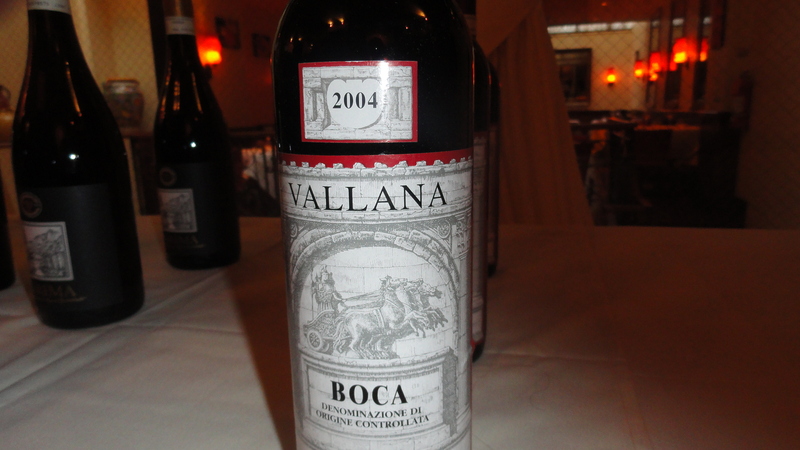 These are made from100% Nebbiolo or blended with little known grapes such as Vespolina, Croatina and Bonarda. As Co-Chair of the Wine Media Guild, I was happy to assist member Ed Mc Carthy and member sponsor Tom Maresca in putting together a tasting of these wines along with lunch at Felidia restaurant in NYC. 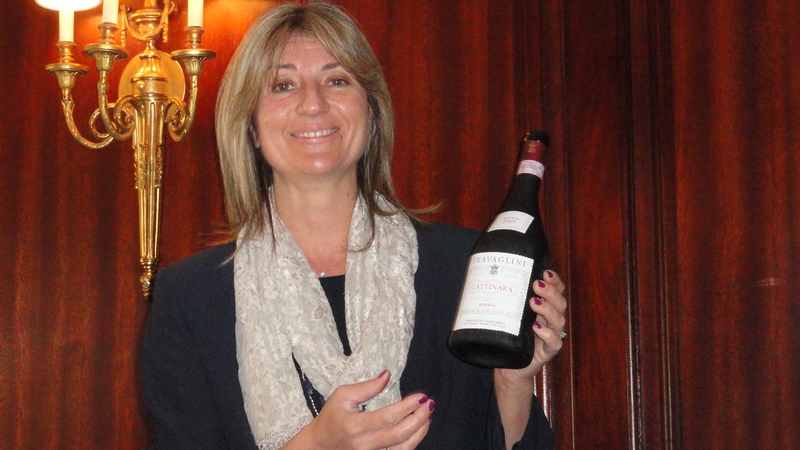 One of the guest speakers was Ciniza Travaglini of the Travaglini winery. One of the points that she made was that all of the wines at the tasting showed better with food. I could not agree more. 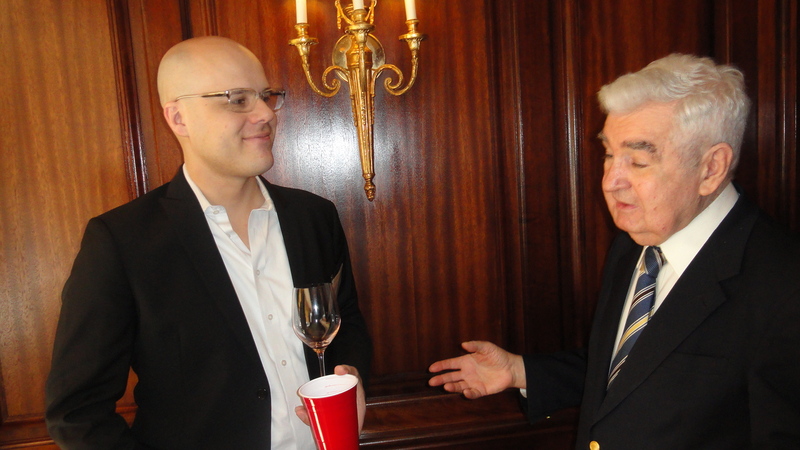 The other guest speaker was Morgan Rich, a former sommelier, now with Polnar Selections. Mr. Rich spoke about each of the Northern Piedmont appellations that were represented at the tasting. 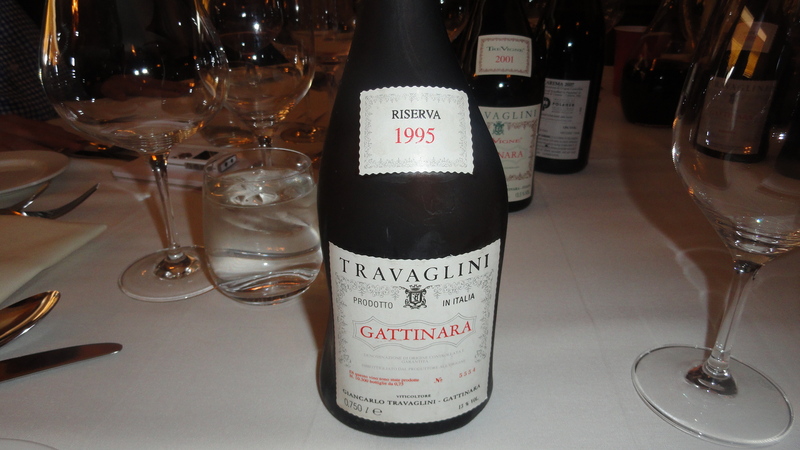 There were 16 wines at the tasting including a 1995 Gattiniara Risreva from Travaglini that we had with lunch. 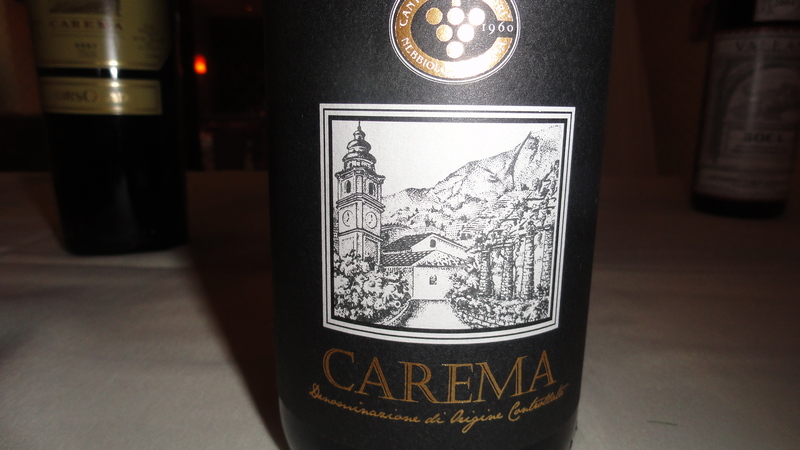 Carema Classico 2007 DOC Produtti Carema 2007 Made from 100% Nebbiolo $24 This winery created in 1960, is a small cooperative divided amongst 45 growers in this small, remote region. Each grower rarely owns more than 1 hectare, most having only ½ hectare. The D.O.C. 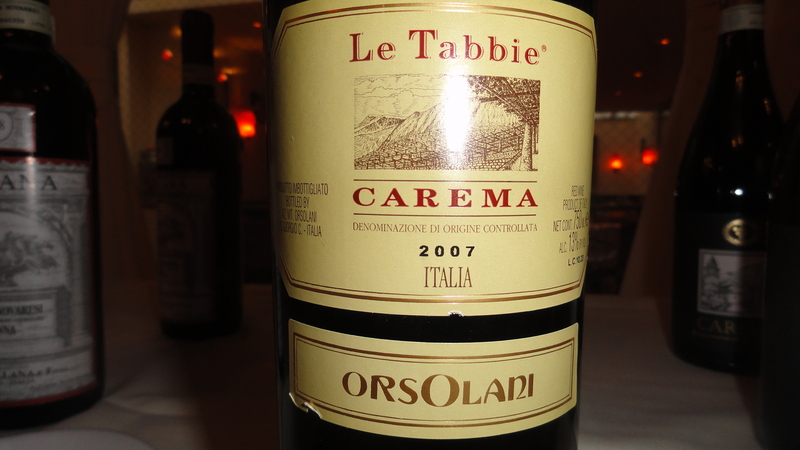 Carema, established in 1967, sits on a mountainous piece of land bordering the Valle d’Aosta. The climate is cold and quite windy here, resulting in grapes that are slow to ripen, and wines that are light garnet in color. The vines are planted on steep stone terraces that reflect the sun and maintain the heat of the day during the night. The vines are trained on pergola-like crossbeams locally named topie or tabbie, onto which the vines are tied down firmly to keep them from being broken by the strong winds. These topie also allow for maximum exposure to the sun, helping to draw out the harvest for as long as possible, thereby taming the grapes’ high acids that would otherwise overwhelm the palate. The wines are 100% Nebbiolo from the local clones of Nebbiolo, Picutener, meaning “tender stem” and Pugnet, meaning “fist-like,” a reference to the compact shape of the bunches. 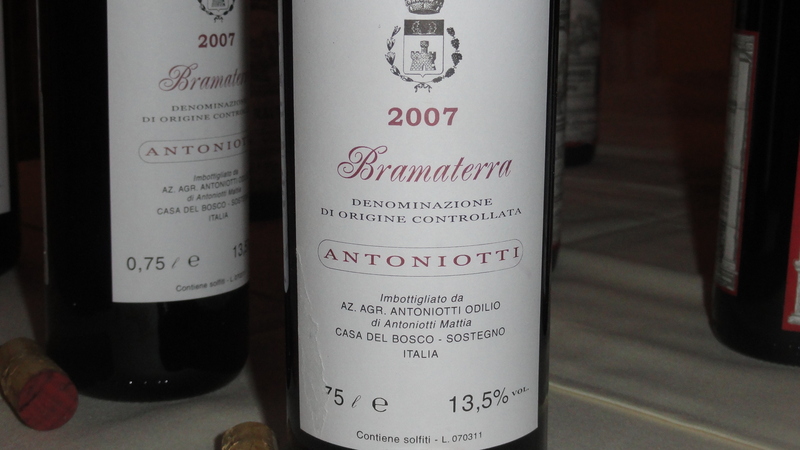 The minimum aging requirement for these wines is 4 years, of which two years have to pass in large oak or chestnut botti. Carema is a wine valued for its perfume and elegance, but with the structure and acidity to age for decades with aromas and flavors of tar, leather, damp leaves and faded roses. 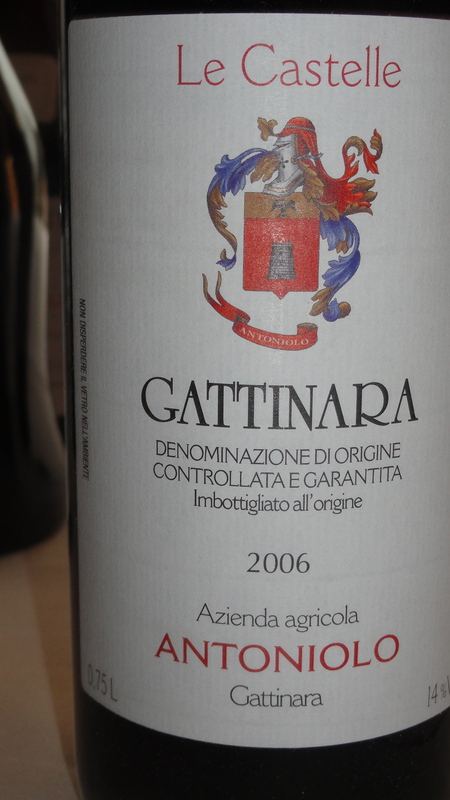 The hills of Gattinara have the same mineralogical composition as the Alps: granite rocks, porphyries, quartzes and iron minerals, which give the typical reddish color to the indigenous rock. 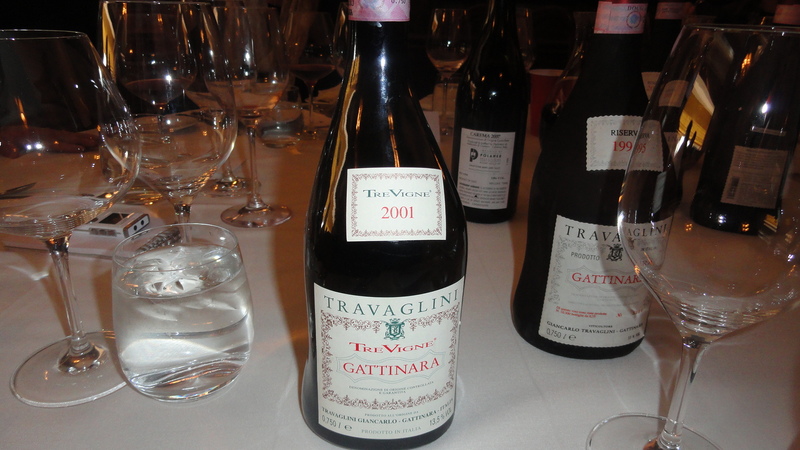 Travaglini Gattinara the vineyards are at 280 to 420 meters and the exposure is south /southwest. There are 3,500 to 5,00 plants per hectare. The grapes are crushed and macerated for about 14 days in temperature controlled stainless steel tanks.